Considered one of the finest and most elegant neighborhoods in America, the Back Bay features extraordinary 19th-century architecture, the fabulous boutiques of Newbury Street, exceptional restaurants and easy access to public transportation. 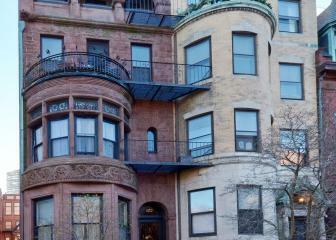 Designed by Frederick Law Olmsted the Back Bay was inspired by French boulevards and has a formal look that defines its charm. 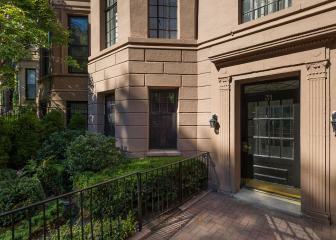 A double-brownstone building featuring a handsome exterior in a great location. 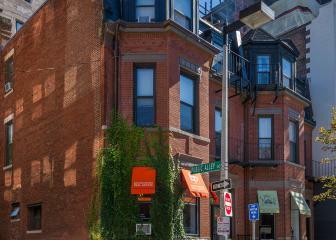 This property offers a wide range of generously proportioned updated apartments, easily accessibility to the T, Newbury Street shopping, and bus access to Cambridge. 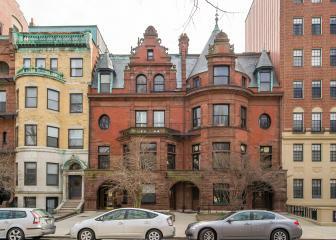 A striking, architecturally significant Back Bay brownstone with a distinctive turret and an impressive lobby. 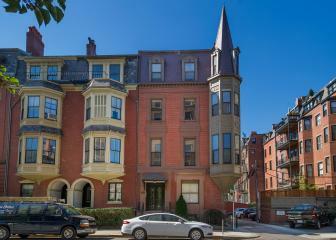 Ideally located close to the Public Garden and the Boston Common as well as the shops and restaurants of Back Bay and Charles Street. 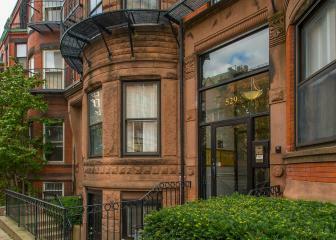 A Back Bay brownstone featuring renovated units with close proximity around the corner from The Prudential Center and the restaurants and shops of Newbury and Boylston Streets. The units themselves are efficiently designed and exceptionally well maintained in the heart of the most vibrant part of Back Bay. This stately five-story stucco townhouse building is located on the prestigious first-block of Marlborough Street just steps from the Boston Public Garden. The location is considered by many as one of the best residential locations in the city. The building features large, spacious floor-through apartment homes with high ceilings, fireplaces, and fully renovated units.